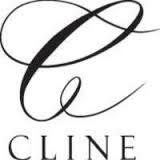 The Cline family own many acres of vineyards throughout Sonoma County, with other properties in Oakley and Tehama County. Passionate about the importance of history, they own and have restored the nearby Dillon Beach Resort, the Mizpah Hotel and Tonopah Brewing Company in Tonopah, NV, and the Villa Laura in Tuscany. They also operate Green String Farm, a 150-acre working farm that produces a variety of fruits and vegetables grown on soil that is tended and nurtured without toxic chemicals. The produce from Green String is used by such culinary luminaries as Alice Waters of Chez Panisse. Their oldest son Ramsey operates the Mizpah Club, a casino and entertainment complex in Tonopah.